New to Real Studio in 2012 Release 2 are two new properties for TextArea: LineHeight and LineSpacing. As you might guess, these properties control the height of individual lines in a TextArea and the amount of space between each and every line in the TextArea. These properties affect all the text in the TextArea. 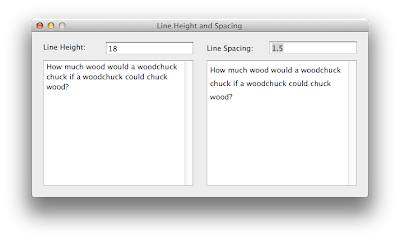 LineHeight and LineSpacing are fully supported on OS X Cocoa and Windows apps. 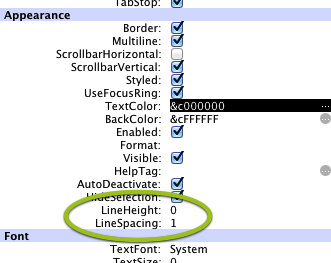 LineSpacing works on Linux, but only if the Text Area contains a single TextSize. You can change these properties using either the Properties Pane or in code. The question is does textarea.rtfdata supports both new options?